Do you wonder where all your money goes? Do you reach the end of the month and dread checking your bank account because you fear you’re overdrawn? 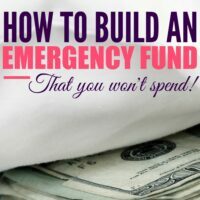 Do you wish you could build savings instead of blowing through money? Well, there are simple, painless ways you can build savings—little tricks to help you save without even noticing you’re saving! (Seriously!!) If you’re wondering how to maximize your money, you can use these money saving hacks to discover extra dollars and wiggle room in your budget—then slide the extra money over to boost your savings account! Don’t believe building savings is easy? I’ll show you how! When finances are tight, maximizing money and putting savings aside is rough. Even if you are on a budget and paying down debt, it’s hard to build savings. When extra money comes along, resisting the urge to go out and spend it on fun is tough. Well, here’s the deal: Life’s short. You need entertainment. You need a date night. You need to hang out with friends and blow off steam. We all do! BUT entertainment doesn’t need to cost money. You can still enjoy a good time—sometimes an even better time, in fact. Imagine hanging out with friends and not stressing about how much the good times are derailing your budget! Our group of friends holds a rotating poker night. We bring the kids with us and they play and enjoy a “sleepover” with our friends' kiddos. We put them to bed and then the adults stay up playing cards. We snack on baby carrots and ranch (cheap, satisfying and diet-friendly). We have a BLAST. Everyone brings their beverages of choice and we meet after dinner so no one worries about providing a big meal. After the game, we pick the kids out of bed and take them home in their jammies. They have fun. We have fun. …and the evening costs like, nothing! Finding cheap, easy money saving hacks for date night, hanging out with friends or life in general can really help you build savings. If you really want to see progress, YOU GOTTA HAVE A BUDGET. There’s no way around it. 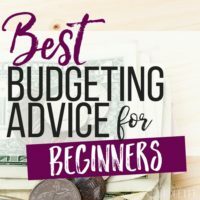 If you haven’t started a budget do not pass go. I want you to check out my 90 Day Budget for Beginners Boot Camp right now. A budget’s your road map, guiding you and showing your success as you build savings. A budget’s a tool for maximizing money and tracking finances. You need a budget. I can’t stress this concept enough, you guys. Certain banks like Bank of America offer programs to “round up” purchases and transfer the change into your savings account. This concept’s great and even if you use a cash-only budget you can still build your savings. Simply put all your change into a special area of your wallet or purse. If you really want to maximize savings, you can put dollar bills aside whenever you break a $10 or $20. If you prefer a less aggressive approach, collecting all your spare change from shopping trips and saving your extra coins can still add up quickly! It’s a bit of a no-brainer, but often we end up tossing money away because we don’t pay attention to extra fees, monthly charges and late fees. These little charges add up fast and if you’re working to build savings they can derail your progress. If you’re really struggling and are in a situation where you can’t pay your bills, there are steps you can take to get finances under control. If you forgot or made a miscalculation, call your bank, utility company or creditor and see what they’re willing to waive. Many times, bill collectors will offer a one-time fee knock off, especially if you’re a good customer. I used to use Pantene Pro-V shampoo. Then one day at my mom’s house, I tried Suave Rosemary Mint and fell in LOVE. Not only was the shampoo cheaper, but I liked Suave even more than my regular Pantene. By switching shampoos, I saved…. are you ready for this? $101.65 per year! Find simple, frugal substitutions you can use in your household. Can you switch to a generic brand for laundry soap? Can you swap ALDI brand chips or canned veggies for your more expensive brand? Maybe swapping won’t work for every item on your grocery list, but there are several items where you might not even notice a difference and you’ll build your savings painlessly! When we were building our savings, we got rid of cable and settled on watching Hulu and Netflix through our Xbox. You can use a smart TV, Roku or Xbox to stream services and you may find you hardly miss cable at all. Cutting cable can save you over a hundred bucks a month. Talk about maximizing money! When we cut out cable we found we didn’t even miss the extra programs at all. In fact, we found we had more quality time and accomplished more because we were watching shows we wanted rather than zoning out through crappy programs and reruns. Give experiences over gifts. They don’t even need to cost a dime—go to a park, spend a day together at the beach, hike or sight-see. Keep your eye out for special local offers, free and discounted activities in your neck of the woods. Fast food and eating out are the biggest budget busters. Spending on fast food seems like a few dollars here and a few dollars there (hey, you may even order off the DOLLAR menu), but the spending really adds up. You don’t need to swear off fast food, but cutting back a few trips a week will really help you save. If you swap out three meals a week and eat at home rather than going through the drive-thru, you can save about $20/week or $80-100 a month, simply by opting for a dinner at home! Cooking at home doesn’t require a big production either—opt for 15-minute meals to get out of the kitchen and enjoy dinner fast! A painlessly easy way to build savings to to start a savings jar. Throw your spare change in there, the $5 birthday money from your aunt and the extra cash you get from selling your old lawnmower on Craigslist. Spare change adds up crazy-fast and can really build your savings. In fact, a friend of mine recently reported saving $1,000 in six months simply by throwing her “extra money” in a jar. When you’ve saved up your jar, take the change to the bank. Don’t go through a coin counting machine! They take a big fee for counting your coins and most banks will count money for free if you’re a customer. Credit unions will also take change for members. If you’ve ever heard of the “envelope savings system,” you know people report fantastic results with the method. You operate on a cash-only budget for all incidentals like groceries, gas, entertainment and shopping. Each month, you take your cash and divide the dollars into envelopes. When the cash is gone, you’re out until next month. The envelope method works. Some people love this method and others say it’s tough, but a great way to maximize your money and hang onto your cash. Let me tell you, parting with cash is MUCH harder than swiping a debit card. Using cash will adjust your thinking on what you’re spending. Join your local library! If you haven't been to your library in a while, let me tell you how awesome the library is! They offer books, obviously, but they also offer magazines, software, CDs, lectures and classes! You can borrow music, movies, magazines and reading material for NOTHING. If you love to read or want cheap entertainment, the library’s where it’s at! Don’t limit your borrowing to the library. Swap items with friends, visit Craigslist and your neighborhood boards for items you need and use rental services for videogames, movies (Netflix) and more. Getting away from the “need to own” mentality’s hard, but many items we can borrow, enjoy and return without spending money. Thrift stores aren’t the place for every purchase but they’re an awesome spot to score cute jeans for literally a few dollars. I’ve found the best jeans I own at thrift stores. Because denim’s such a sturdy material they’re often so gently used they feel like new. Thrift and second-hand stores are also great spots for furniture (add a coat of paint or clean an item up and you can find real treasures), frames, jackets, sports gear and more. Be discerning and examine items carefully to ensure they’re in good condition and of course, buy only what you need. Our poker nights are a great solution for us and for our friends. All of us are attempting to save money and I think they were just as relieved as we were not to fork out $100 every time we hung out. Keep the creativity going with your friends by working out together, going for walks, enjoying barbecues in the yard or park, or hosting a game night. You can ask friends to swap babysitting and trade off play dates if you and your significant other are looking for a date night solution as well. Invite your friends over for a potluck party and pool together to share a babysitter. Hanging out shouldn’t be expensive! A cup of coffee, soda or bottled water seems like no big deal—it’s only a few bucks, right? Those few dollars can add up quickly and if you’re spending $5 a day on drinks you’re spending $1825 a year! Enough money to take a vacation! Instead of spending money on water, soda or coffee, brew coffee at home. Get a Nalgene bottle or another portable water bottle and fill up with filtered water at home. Steep iced tea and keep the tea in your fridge to drink when you need a pick me up—less sugar and fewer calories, plus tea’s way cheaper than a bottle of soda. None of us want to run around worrying about turning off light switches and powering down electronics all the time, but there are simple steps you can take to reduce your electricity, water and heating bill. By turning your thermostat up a few degrees in the summer or down a few degrees in the winter you can see a big reduction in your costs. Put a gallon bottle in the back of your toilet to cut water usage, install a water saving showerhead and turn your water heater down to 110 degrees (you won’t notice a difference when you shower, I promise). Use a power strip on electronics so you can turn them all off at once and install energy saving lightbulbs. You can reduce your utility bills by a noticeable amount with these small, painless steps. When you come across a sale on your favorite products, stock up! If you find a great deal on a product you’ll use regularly, buy several at once to maximize savings and store extra in your storage closet. When you go to the store, buy the bigger bags of chips, crackers and other snack items in bulk sizes. When you get home, repackage the items in individual packs rather than opting for snack packs and fun sizes. While buying all items in bulk is costly and wasteful, there are plenty of items where bulk buys can pay off. Watch for items without expiration dates—paper products and home goods. Condiments, canned goods and toiletries are often good bulk buys as well, because they have a long shelf life. One of the most painless ways I’ve found to save is simply cut my usage of items in half. Dishes still get clean with half the amount of detergent. Laundry still washes up perfectly fine with half of the soap. I can condition my hair with the size of a dime rather than a quarter. Use the same concept when you go out to eat—enjoy half and take the other half home for tomorrow’s lunch. Stretch recipes by using half the meat called for or half the cheese (two expensive ingredients). Cutting your usage back to half is a simple way to build your savings and yet still get and do what you want. If you’re looking for more ideas to build savings and maximize money, I’ve compiled the Ultimate Money Saving Checklist here. 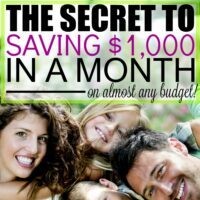 There are 200 ideas you can use to save money and stretch your money each month! What are your favorite money saving hacks? 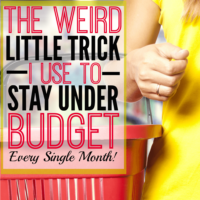 Do you know any tricks you use to painlessly save and maximize your money? These are GREAT tips! We have a very basic cable package, but my husband would literally die if I cut the cable cord altogether. Eating out is our biggest weakness. We are trying really hard to do better about that! I love the tip about saving my coins or $1 bills. That is something I used to always do. Maybe it’s time I brought it back! Those are awesome money-saving tips. It is important to remember that we don’t have to open our wallet every time to enjoy life. I have done most of what listed above, but I need to check out thrift stores more. It sounds there are some great inexpensive stuffs there. Game (and wine) nights are the best! 🙂 Thanks for reading. Great post! I definitely agree with you on using cash. I started using cash exclusively when I travelled to Europe a few years ago. It helped to really transform my spending. I am already stingy when it comes to spending but spending cash only brought it to a whole other level. Saying cut the cable is easy. But these dumb companies charge a lot just for internet cause they want you to bundle their services. I’m still looking for a company that won’t charge me $65 just for internet. Great tips!! We use a lot of these ideas already, but can definitely do better with substituting for alternatives and thrifting. Thanks for the tips! These are amazing tips! I especially love cutting your cable! We love Netflix and you never run out of shows! Great tips! I never thought about bringing in my own parts, so I’ll have to try that on my next repair. Thanks for sharing! 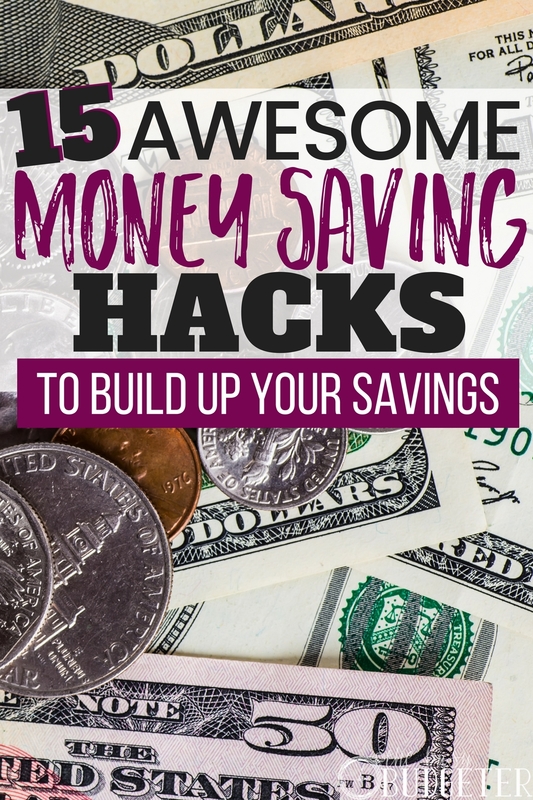 Great money saving hacks! We cut the cord and got an antenna 6 years ago and haven’t looked backed! Use mostly cash, love thrifting and rarely go out to eat. Getting the right mindset is key! When you know why your doing it, it makes it so much easier. I’ve heard about Groupon for years but did not start using them until several months ago. Now I try to find dining Groupons whenever we want to dine out, saves a good amount. I also want to share one tip that I use to save money, and that is using cash back sites when making purchases online. You set up an account on these sites, and then you click their referral link when you want to buy something on another site. This tracks the purchase and you get % of the purchase cost back. So far I have claimed back thousands of pounds (since using it 7 years ago). All are great tips the one that I applied for myself and to my family is we eat at home.Going outside can be out of your control especially the menu anything can happen. Thanks for this financial hacks it really helps a lot. Keep on posting! thank you so much for sharing amazing and creative tips. Keep the good work going !